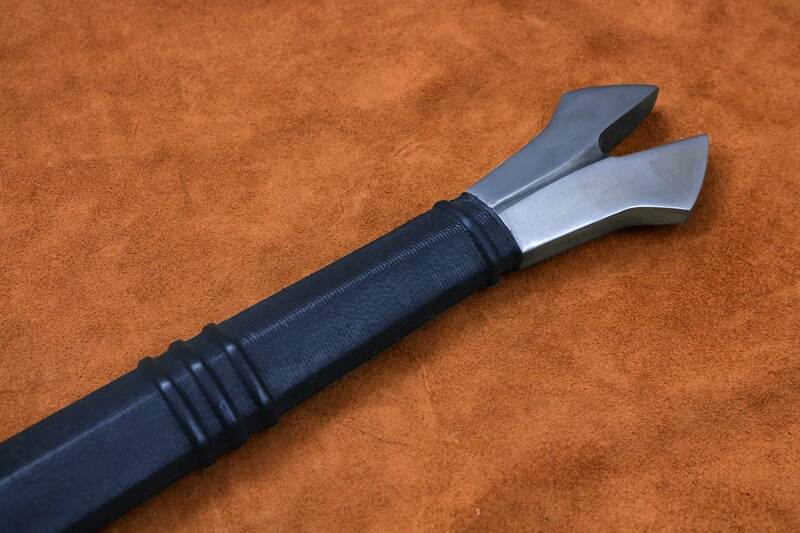 The Black Death Gothic Sword - Darksword Armory inc. 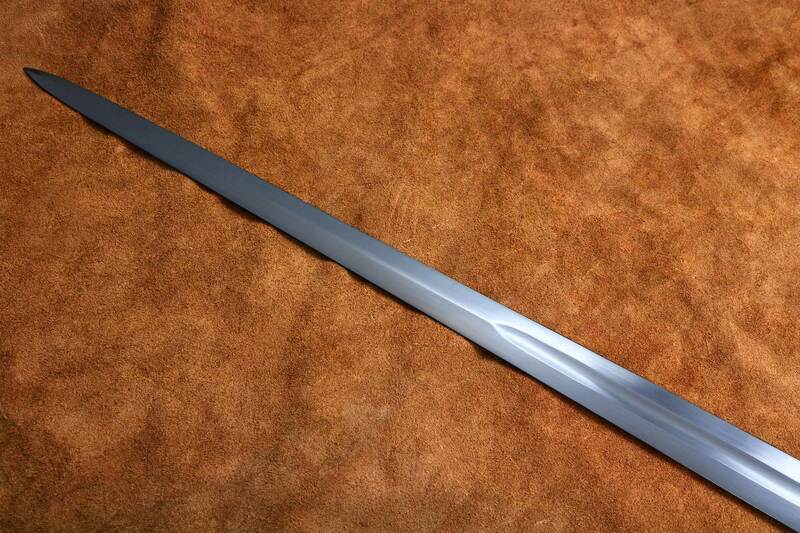 The Black Death Gothic battle ready Sword was another interesting project to work on. 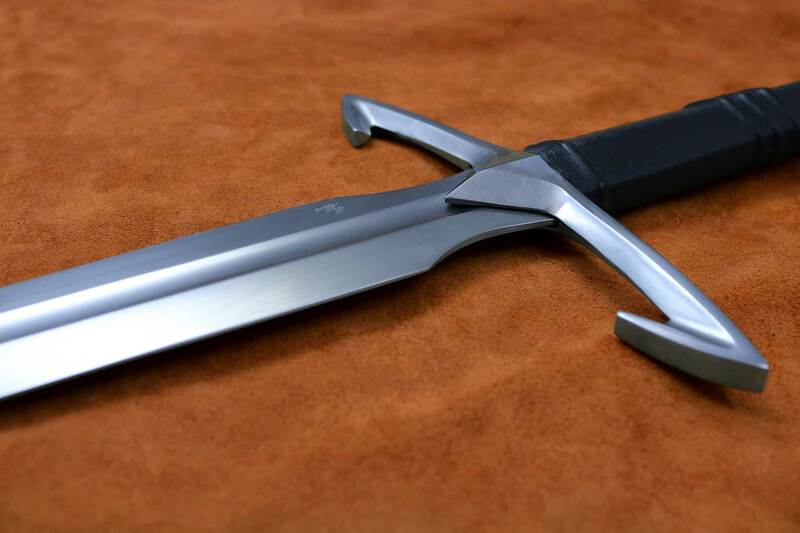 Inspired by Type XVIIIa blades of the fifteenth century, and characteristics of our Gothic Two Handed Sword ; The Black Death follows the typical gothic patterns of the battle ready swords of the later part of medieval period. and all were thrown in … ditches and covered with earth. And as soon as those ditches were filled, more were dug. And so many died that all believed it was the end of the world. Few words carry the weight, the cold horror, the twisting fear as does this – Plague. Despite innovations both technological and cultural, the human race in Europe was very nearly wiped out during the 14th century by a disease we now call the bubonic plague. Beginning in the 1340’s were decades of death by one of the most virulent diseases in history – one that would kill between 75 and 200 million people before it had run its course in the early 15th century. The death rate in Europe was recently estimated at nearly 45-50%. Carried by diseased rats and spread to humans via fleas, it was a remarkably infectious and deadly disease, killing most victims within a week of infection. It was also an almost unimaginably painful way to die, as victims suffered with agonizing black boils and enormous tumors for days before drowning in infected lungs. These black boils may have led to the plague’s most common nomenclature – The Black Death. To Europe’s inhabitants, it seemed like the end of days – and it almost was. It was also a crisis of faith on an unbelievable scale that changed the course of Europe’s culture forever. For centuries afterward The Black Death had a lasting impact on culture, drawing out morbidity and mortality as primary themes in art and architecture. Stark lines, images of deep sorrow, even specters of death grew to prominence during this period as Europe struggled to cope with a tragedy on such an epic scale. These themes spread across the continent and established themselves as primary features in many cities. Paris was one such city, embracing gothic architecture and letting the suffering of the Black Death seep into its marrow in a way that never quite left. Indeed, one of the first examples of the Danse Macabre (a classical image of Gothic morbidity) appeared in Paris at the Church of the Holy Innocents less than twenty years after the last resurgence of the plague in Europe. It should be no surprise, then, that when faced with a public health crisis even centuries after the plague itself that they allowed a solution to blossom that was gothic on a truly inspired level. During the 18th century Paris was running out of room for graveyards, and the health issues caused by so many burials within their walls – especially the smell – that a solution had to be found. City officials decreed that graveyards would be emptied, and the remains were sent to a network of caves, quarries, and tunnels twisting and turning for hundreds of miles beneath the city. From this decision was born the Paris Catacombs. Within the Catacombs lie the remains of an estimated 6 million people, most of them skeletal. 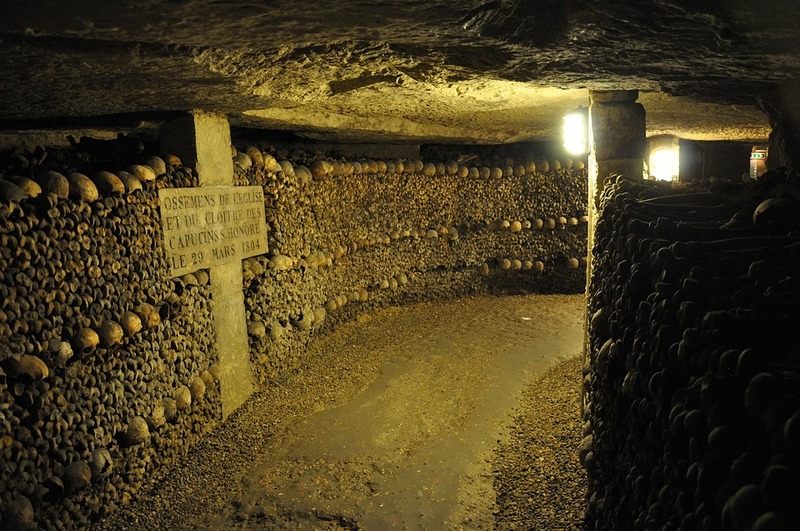 Unlike traditional burial grounds, though, the bones removed to the Paris Catacombs were arranged with an eye towards Gothic sensibilities – as macabre a scene as you could ever find in all of Europe. 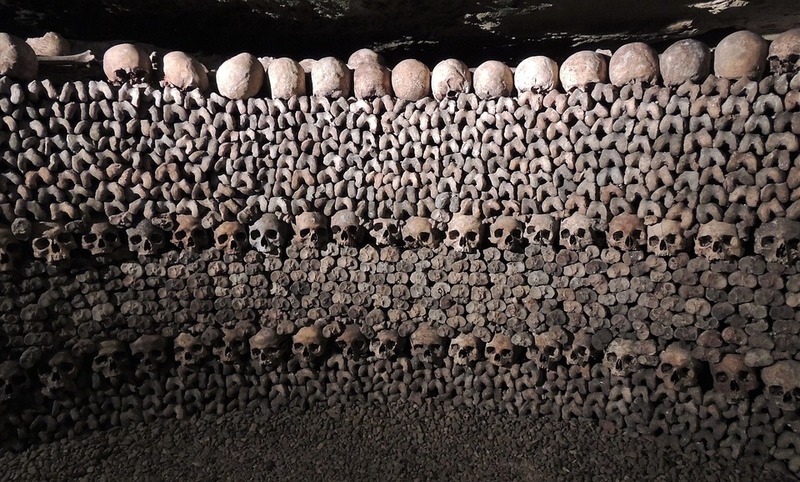 Miles of tunnels are lines with artistically arranged skulls and bones combines with crosses and other religious iconography, creating a grim yet beautiful reminder of mortality. 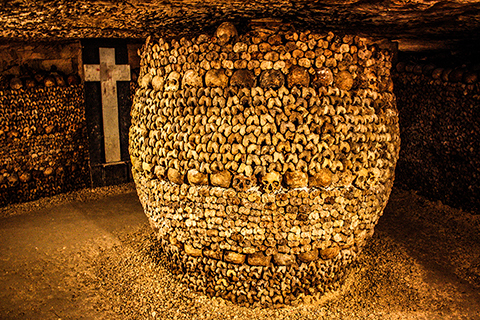 Currently the Paris Catacombs are a tourist attraction, though not one without risks – there are long portions that are off-limits and unmapped, and modern Parisians have gotten lost while exploring, and died alone in the darkness. The Black Death Gothic Sword was inspired by a journey through the Paris catacombs by Darksword Armory founder Eyal Azerad in April 2013. A classical 15th Century type XVIIIa longsword blade has been paired with inspirational guard and pommel to create a unique concept piece. The guard and pommel have been given a dark, almost sinister appearance to fit in with the overall theme of sorrow and death. The Black Death Gothic Sword is an exceptional take on the Gothic-era swords, and would fit as a historically-inspired collector’s piece or as a weapon for cosplaying someone from Gothic-inspired fiction, such as a vampire hunter. 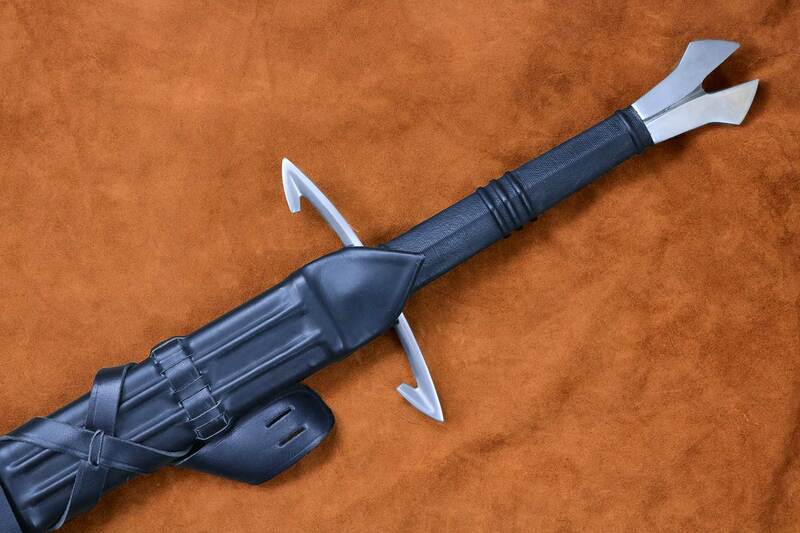 In either case, we hope this sword will communicate the sense of fleeting mortality that inspired it. A very interesting sword with great geometry. 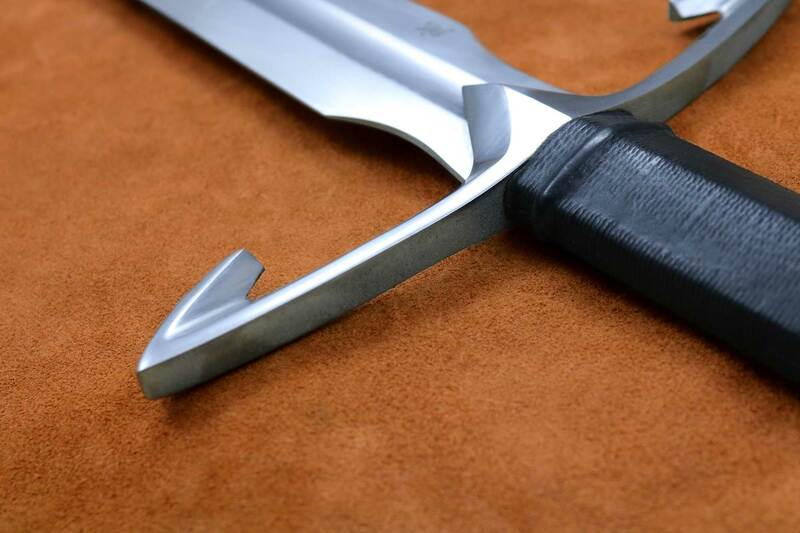 This sword measured in at 50.5″ with a 39″ blade. The percussion node coincides with the forward pivot point perfectly at around 25″ along the blade. The flat and generous hexagonal grip feels great in the hand and the leather work is very good. The Gothic styled pommel is stunning and a unique design. 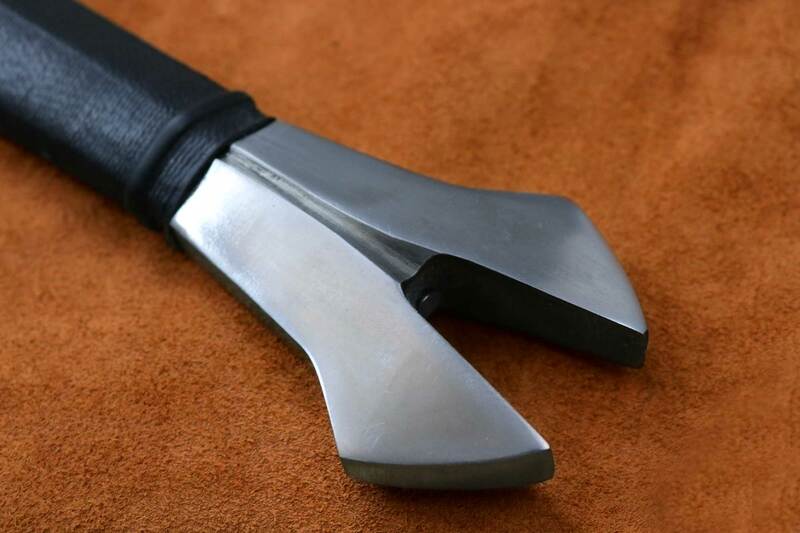 The blade is stiff but not overbuilt, has distil taper and the POB is about 5″ from the grip. This is a long, lively and lethal blade, adept at cutting and a devastating thruster. As a conceptual piece this sword is visually striking but practicality has definitely not been sacrificed for the sake of art. This sword, without a doubt, would hold it’s own on any battlefield. Well done DSA, I am very impressed and hope you continue to find new sources of inspiration.